Luciano Spalletti and Maurizio Sarri have selected their starting 11’s for tonight’s crucial clash at the Giuseppe Meazza in Milan’s San Siro district. 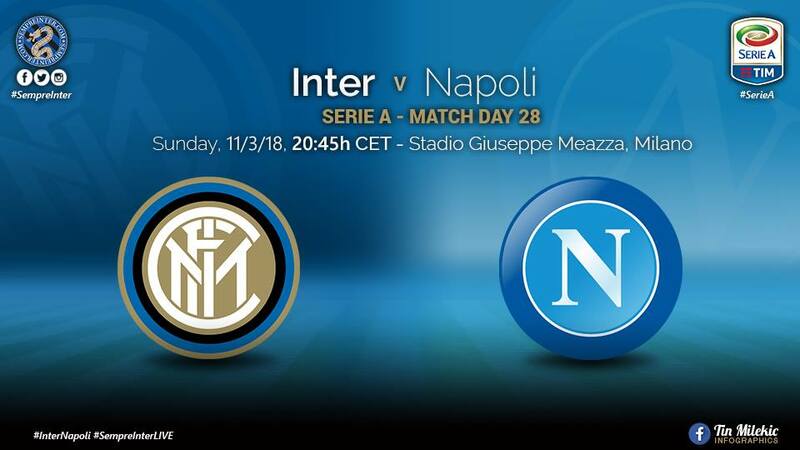 Inter have been boosted by the return of their captain Mauro Icardi as they have struggled without the goals he provides. On the defensive side of things, Miranda is also back to continue his impressive partnership with Milan Skriniar. Other changes from the Benevento game include Brozovic for Vecino in central midfield. Napoli have gone to their best available 11 as they look to regain top spot in the Serie A.